Herryman Moono holds an MSc Economics from University of Sheffield, an MSc Global Health from University of Oxford where he read as a Rhodes Scholar and a Bachelor of Arts in Economics from the University of Zambia. 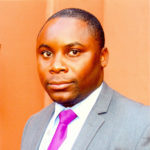 Prior to his postgraduate studies, Herryman worked as a Teaching Assistant in Microeconomics at the University of Zambia, interned in the Regulatory Policy and Liquidations Division of the Central Bank of Zambia and in 2007 worked as an Assistant to the Principal Local Government Auditor for the Ministry of Local Government and Housing in Lusaka. He has also worked for the Population Council Zambia Office during his Global Health studies as an intern and participated in an array of applied health related research. He has conducted research for the African Peer Review Mechanism as a Research Associate with the University of Zambia and has also worked with the Harvard University’s Centre for International Development in Zambia. Herryman is the recipient of Bank of Zambia Scholarship Award for 2007; The Dean’s Commendation Award from the University of Zambia and elected Rhodes Scholar for the Class of 2009. His research interests are in Applied Economic Policy, International Trade and Finance and Health Economics in developing countries.